Regardless of what you need in terms of size, color shape, etc. when it comes to display booths, the multitude of options are almost endless. Anything you can dream up or envision as a way to market your business, from tradeshow display exhibits to portable booths for all types of onsite marketing, can be created for you. And if you can’t dream it up, a good exhibit booth company can do it for you! Did You Know You can Rearrange Some Display Booths for Each Show? Most people assume that the booth design you buy is the exact same design you’ll have for the life of your booth. But did you know that you can have a different exhibit for each tradeshow–with the same basic equipment? Many exhibit display layouts can be reused many times for lots of different events. The key to creating reusable portable booths is to have a professional trade show booth design company put together a setup for you. The setup will need to be convertible for use in different sized areas, and preferably expandable for future marketing events. This way the main core of the display booth is made to fix into a small area, but can be added on to with secondary components. This way, you are able to fill in larger floor layouts. You can also add feature space for new products or services, without neglecting the old. Another element you may want to incorporate into versatile display booths, is the ability to mix and match signage. You don’t have to one one specific use for the display booths you put together. A bit of design work will give you interchangeable trade show graphics. These can be quickly assembled, depending on the type of venue you are marketing your company at. With today’s mindset of conserve and reuse, the last thing any company wants to do is to have excessive waste, whether it’s the materials used in the manufacturing of the display booths or clean-up after the convention. This is where it is important to also consider how compact the display booths are when disassembled. The smaller the display booths break down after the event the better for several reasons. The main reason to design highly compactable portable booths is for storage between trade shows or venues. But an often overlooked reason has to do with the marketing team in charge of putting on the show. 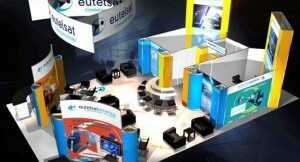 Unless the company has a team of people that setup the display booths for an event, it is usually the on-site marketing team that is tasked with assembly and clean up after the show. Poorly designed exhibit booths are not only hard to build and disassemble; they are also damaged easily in the process. With your company’s big marketing push relying on how well your overall presentation looks; don’t you think that it’s in your best interest to do it right from the start? Make it easy on your team and have your marketing display booths done by a professional trade show booth design company.